AoA, dear members. Hope you all are well and started the preparation for NET. Let me tell you about the subject of computer science, that how to prepare it and which part of it should be prepared. When we talk about computer science, I think it is the easiest subject for NET and other entrance tests of different universities because you have no formulas in it or something like numerical which are tricky and confusing. Many MCQs are from NET series (Past Papers) or the tests of other universities for CS or Software Engineering, I’ve seen that mostly only theoretical part is included, the practical part like C language is not yet there. So I think, this year the situation will also be same. The theoretical part like book of 1st year and theory of C language and database will be included but it does not mean that you should completely ignore the other, I’ll say that you should have a full command on the entire subject. They can ask you the questions about internet, computers, languages, history of computers, networking etc, so you should prepare all the stuff related to it. One important thing that this year there will be three sessions of NET so they have to make more and more mcqs because all tests will be different, for such a huge collection of mcqs, I think they will include each and every topic of the book, same situation is for other subjects. 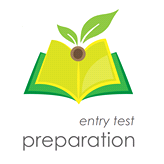 The test can be very simple or it can be a difficult one, so you should be well prepared. Perhaps you can post the sample or past papers of Computer Science of NET.